Milan are in crisis and could sack Gennaro Gattuso if he doesn’t win the last two games of 2018, but Frosinone picked up a point on Marco Baroni’s debut. The Rossoneri have been crumbling over the last few weeks, as they crashed out of the Europa League to Olympiacos, failed to score in three consecutive Serie A games for the first time since 2001 and dropped behind Lazio to fifth place. Coach Gattuso is now hanging by a thread, with reports Arsene Wenger is ready to step in at any moment. Not only must he win this match and the December 29 meeting with SPAL, but do so convincingly and with far better performances than we’ve seen of late. Goals are the big problem, as if they fire blanks again here, it’ll be their longest goalless streak since 1984. There have only been three goals in their last six Serie A matches, including a Lazio own goal and a Franck Kessie penalty. Patrick Cutrone got the lone strike from open play against Parma on December 2. Gonzalo Higuain is on his worst goalless run ever playing for an Italian club, but he has fond memories of Frosinone. It was against this side that his hat-trick for Napoli set the new all-time record for 36 goals in a single Serie A season. At least Gattuso receives a boost with Kessie and Tiemoue Bakayoko back from suspension, though Fabio Borini, Andrea Bertolacci, Lucas Biglia, Mattia Caldara and Giacomo Bonaventura are still side-lined. Andrea Conti made his return after more than a year out with knee problems and could make another substitute appearance at the Stadio Benito Stirpe. The 4-3-3 formation should be back with Suso and Hakan Calhanoglu supporting Higuain, as Patrick Cutrone is sacrificed to the bench. Frosinone sacked Moreno Longo after managing only one victory all season, 3-0 away to SPAL, and brought in former Benevento boss Baroni. He made a strong debut, scraping a draw away to fellow relegation strugglers Udinese thanks to a Camillo Ciano penalty, and will want to give the Canarini fans their first home success to cheer on. Luca Paganini, Federico Dionisi and Emil Hallfredsson are all long-term absentees, while Joel Campbell and Rai Vloet look to be benched for their sluggish performances. It’s unclear whether Andrea Pinamonti or Daniel Ciofani will get the nod in attack alongside Ciano, while Francesco Zampano and Andrea Beghetto are favourites for the wing-back roles. Milan have won only one of their last seven Serie A fixtures away to newly-promoted sides. Apart from the 4-0 at SPAL in February, which was also their only clean sheet, they drew four and lost two. Atalanta are forced to do without three key players as they host Winter Champions Juventus, but are always tough to beat in Bergamo. Gian Piero Gasperini has both defenders Rafael Toloi and Jose Luis Palomino suspended after their red cards in a 3-1 defeat to Genoa. Marten de Roon was stretchered off with a sprained ankle courtesy of Cristiano Romero just a couple of minutes into that match, so some reshuffling is in order. Berat Djimsiti looks likely to get the nod in defence with Gianluca Mancini and Andrea Masiello, while Mario Pasalic should be preferred to Matteo Pessina in midfield. Papu Gomez and Josip Ilicic continue to provide support for Colombian hitman Duvan Zapata, who is on sparkling form at the moment thanks to seven goals since the start of November. Juve are runaway leaders, the eight-point gap from Napoli allowing them to be crowned Winter Champions with two rounds to spare. With that in mind, and the Christmas schedule somewhat packed, Max Allegri has hinted he could rest Cristiano Ronaldo. He would’ve given Federico Bernardeschi a start, but the Italy international pulled up with more muscular problems, joining Juan Cuadrado, Joao Cancelo and Andrea Barzagli on the treatment table. Douglas Costa is raring to go and Emre Can could step in for Miralem Pjanic, while Medhi Benatia can give Leonardo Bonucci a rest. Mario Mandzukic is proving to be the key man for Juve, as he runs the gamut from centre-forward to winger to left-back, depending on where he’s needed. Juve are unbeaten against Atalanta in Serie A since a 2-1 result at the Stadio Azzurri d’Italia in February 2001, followed by 23 victories and four draws. However, the last two trips to Bergamo both ended 2-2. If Pippo and Simone Inzaghi didn’t spend Christmas together, then the brothers certainly will on Boxing Day in a big game for both Bologna and Lazio be bosses. Neither sibling will be prepared to provide any gifts at the Stadio Dall’Ara, as the points are too precious to simply give away. Bologna are in penultimate place and Pippo is scrapping to keep his job, while Lazio just ended their winless streak to climb back into fourth place, taking some of the pressure off Simone. This is the first time the Inzaghi brothers are facing off as opposition Coaches, although they have met on the field as players in Serie A on seven occasions. The hosts are still without Erick Pulgar, while Andrea Poli is also struggling with injury, so Adam Nagy again starts in the middle of the park. Riccardo Orsolini continues to push for a place in the XI and Federico Santander holds off competition from Mattia Destro upfront. Lazio ended their winless streak with a 3-1 success against Cagliari, having drawn four in a row and lost to Atalanta. It’s probably no coincidence that victory came after a change of tactics to 3-4-2-1, with both Joaquin Correa and Luis Alberto fanning out to feed Ciro Immobile. Lucas Leiva made his comeback as a substitute after a month out and is hoping to even start at the Dall’Ara, especially with Milan Badelj out of action. Lazio are unbeaten against Bologna since a 3-1 result at the Olimpico in March 2012, managing five wins and five draws in which they scored 17 and conceded six. The last defeat at the Dall’Ara was 3-1 in January 2011. Genoa finally got their first win in three months and visit a Cagliari side smarting from back-to-back defeats in a relegation tussle. Cesare Prandelli has made a more than positive impact since becoming Genoa’s third Coach of the campaign, taking on the mantle from Davide Ballardini and Ivan Juric. He drew with SPAL on his debut despite Domenico Criscito’s red card in the opening 11 minutes, then was twice leading away at Roma before a 3-2 defeat in controversial circumstances and beat Atalanta 3-1. That was the Grifone’s first victory since a 2-1 away to Frosinone on September 30, ending a run of four points from nine rounds. Cagliari, on the other hand, have hit the skids and are sliding down the table. Since their 2-1 win over Chievo on October 28, the Sardinians have managed just four draws and three defeats. The last two were particularly painful, falling to an Arkadiusz Milik free kick for Napoli in stoppages and then losing 3-1 at Lazio. The absence of Leonardo Pavoletti in attack is really making itself felt, along with Lucas Castro, Charalampos Lykogiannis and new addition Ragnar Klavan. At least Darijo Srna and Luca Ceppitelli return from their two-match bans for insulting the referee in a 2-2 draw with Roma. Nicolò Barella is the midfield dynamo with Paolo Faragò providing pace and creativity, but Diego Farias looks like he’ll return to the starting XI with Joao Pedro, leaving Marco Sau and Alberto Cerri on the bench. The only real doubt in the Genoa line-up is between veteran midfielders Miguel Veloso and Sandro, but the rest seems set in stone. Genoa have won four of their last five Serie A meetings with Cagliari, home and away, only losing 4-1 here in January 2017. Fiorentina have rediscovered their swagger and are right back in the push for Europe, but Parma sit only three points behind them. The Viola put an end to their eight-round winless streak in style, securing back-to-back victories over Empoli and Milan. Federico Chiesa got the only goal at San Siro, with Giovanni Simeone finding his feet recently too. Stefano Pioli has practically a full squad to call from and Kevin Mirallas should again get the nod in the trident attack rather than Marko Pjaca. Parma have gone the opposite route and started to slide lately, picking up just two points from the last four matches. It is a concern that the Ducali found the net only twice in that period, firing blanks in their last two against Sampdoria and Bologna. Gervinho returned to the line-up last week after injury problems, but didn’t look particularly sharp, so the pressure is on him to deliver a burst of pace. Defender Bruno Alves sits out a ban, replaced by Alessandro Bastoni, with Leo Stulac taking the midfield reins. Alberto Grassi, Federico Dimarco and Francisco Sierralta are still injured. Parma have won just one of their last 12 Serie A meetings with Fiorentina, 1-0 at the Tardini in January 2005, drawing six and losing four. It’s a Boxing Day battle between the two grand old men of Calcio, as Fabio Quagliarella’s Sampdoria and Sergio Pellissier’s Chievo face off. The veterans are 36 and 39 respectively, but are still showing the young’uns how it’s done. Quagliarella has become the first Italian since Antonio Di Natale in 2010 to score in seven consecutive Serie A games, helping to propel Samp into sixth place, only two points shy of the Champions League spots. Chievo remain bottom of the table and still without a single win, but are also unbeaten in six, including impressive stalemates with Napoli, Lazio and Inter. Pellissier shocked Samir Handanovic with a lob in the final minutes of their 1-1 draw with Inter last week, his third goal in the last six starts. Bartosz Bereszynski and Edgar Barreto are still out of action for Samp, so Jacopo Sala is again chosen at right-back. Gaston Ramirez’s fantastic solo effort against Empoli makes him the hot favourite to start in the trequartista role behind Quagliarella and either Gianluca Caprari or Gregoire Defrel. Filip Djordjevic is back from his two-match ban for insulting the referee and could even start with Pellissier or Mariusz Stepinski, supported by another veteran in Emanuele Giaccherini. Joel Obi is available again in midfield, but Fabrizio Cacciatore’s 2018 is already over. If Samp avoid defeat for a sixth consecutive round, it’ll be their longest Serie A unbeaten streak since March 2017. Roma remain in crisis mode and a bad result against his old club Sassuolo could spell curtains for Eusebio Di Francesco. It is extraordinary to think that with budget, prestige and resources, the Neroverdi go into this Boxing Day clash one point ahead of last season’s Champions League semi-finalists. The Giallorossi sit in joint ninth place, on a par with Atalanta, behind the likes of Sampdoria, Fiorentina and Sassuolo. This is the situation that has left EDF teetering on the edge of dismissal, although director of sport Monchi continues to publicly back the Coach. Until the January transfer window opens, he’s going to have to make do with what he’s got, which does not include injured Daniele De Rossi and Ante Coric. Edin Dzeko made his comeback as a substitute in the defeat to Juventus and should be in the starting XI here, sending Patrik Schick towards the exit. Diego Perotti and Lorenzo Pellegrini are also back in the team and at least the Argentine could start rather than Justin Kluivert, with Cengiz Under and impressive Nicolò Zaniolo retaining their places. Sassuolo have lost only one of their last nine Serie A games, 2-1 at Parma on November 25, but during that run beat just relegation favourites Chievo and Frosinone. Unusually, they are without a victory at the Mapei Stadium since seeing off Empoli 3-1 on September 21, managing only a defeat to Milan and four consecutive stalemates here. The injury problems persist for Roberto De Zerbi, as Kevin-Prince Boateng, Claud Adjapong and Jeremie Boga are long-term absentees, with Alfred Duncan requiring a fitness test in midfield. Khouma Babacar was rested against Torino and returns to the starting XI with Domenico Berardi, who has repeatedly been linked with a move to Roma. At least it’ll be a family affair on Boxing Day, because Eusebio Di Francesco’s son Federico plays for Sassuolo. Sassuolo have never beaten Roma in Serie A, managing only four draws from 10 meetings. However, four of the five visits to the Olimpico were score draws. A victory for Udinese would allow them to leapfrog SPAL in the Serie A standings and put Leonardo Semplici’s side under serious pressure. Only two points separate these teams going in to the Stadio Paolo Mazza on Boxing Day, as they both hover above the relegation zone. Davide Nicola prompted a slight upturn in the Friulani’s fortunes after replacing Julio Velazquez, but that boost and the victory over Roma has already worn off. They’ve drawn two of the last four games against Sassuolo and Frosinone, suffering expected defeats to Atalanta and Inter. Funnily enough, Roma were also the last team SPAL managed to beat, 2-0 at the Stadio Olimpico on October 20, followed by four draws and four defeats. Only the heroics of goalkeeper Alex Meret prevented them snatching a late point away to Napoli last week, but Jasmin Kurtic is suspended, so Mirko Valdifiori or Everton Luiz come in to midfield. Simone Missiroli has recovered from injury and should start, but Semplici has plenty of options in attack, with Sergio Floccari, Andrea Petagna, Mirco Antenucci and Alberto Paloschi all pushing for attention. Udinese lose Valon Berisha to a one-match ban, while Samir, Emmanuel Badu, Lukasz Teodorczyk and Svante Ingelsson remain long-term injury absentees. Ignacio Pussetto is the favourite ahead of Kevin Lasagna to partner Rodrigo De Paul, while Andrija Balic and Antonin Barak battle for the midfield reins. Udinese have not beaten SPAL in Serie A since 1960, managing only three draws from their last six encounters. Toronto have slowed down a little in their march towards Europe, while Empoli’s Beppe Iachini effect wore off with two straight defeats. It’s important for both these sides to rediscover their confidence after some recent setbacks. Toro have been raging at the referees and VAR protocols after a controversial defeat to Juventus and chaotic 1-1 draw with Sassuolo. Walter Mazzarri is still waiting on news from Salvatore Sirigu, who went off during the Derby della Mole with a bruised back and remains in doubt for this game. Now that Iago Falque has fully recovered, Mazzarri could attempt using the Spaniard with Andrea Belotti and Simone Zaza for the first time in a starting XI. Failing that, Andrea Baselli should keep the midfield solid. Empoli seemed to be transformed when Iachini took over from Aurelio Andreazzoli, but that ‘new Coach smell’ is starting to wear off. They suffered back-to-back defeats against Fiorentina and Sampdoria, while Ismael Bennacer needs a fitness test. Ciccio Caputo and Antonino La Gumina continue to lead the attack. Francesco ‘Ciccio’ Caputo has participated in half of all Empoli’s Serie A goals this season, scoring nine and assisting two. It’s a massive Boxing Day showdown between third and second, but Inter were shaken by Radja Nainggolan’s indiscipline and Napoli are ready to take advantage. Serie A used to shut down for the Christmas holidays, but after adopting a more Premier League style approach, they reserved a big fixture to get families focused. The gap is already opening up at the top of the table, with Juventus eight points clear and taking the Winter Champions title, but the split between second and third is also becoming impressive. Napoli go into San Siro eight points clear of Luciano Spalletti’s Inter, as a draw with bottom of the table Chievo proved costly. The Nerazzurri traditionally struggle in December and this looks to be no different, as Nainggolan was “temporarily suspended from football activity for disciplinary reasons.” He turned up late to training several times and was fined €100,000, with new director Beppe Marotta sending a signal to everyone that an unprofessional attitude will not be tolerated. It’s a bold move to drop the biggest summer signing for their most important match of the season so far. Kwadwo Asamoah returns from suspension at left-back, moving Danilo D’Ambrosio to the bench, while Nainggolan’s absence should point towards a 4-3-3 formation with Joao Mario and Matias Vecino joining Marcelo Brozovic. Matteo Politano has shown with recent form that he is first choice to complete the trident with Mauro Icardi and Ivan Perisic, the Croatian also ending his lengthy goal drought last week. Napoli must wait to see if Allan has fully recovered from a back problem, but Faouzi Ghoulam should get the nod ahead of Mario Rui. Alex Meret’s spectacular late saves to rescue the victory against SPAL proved he is more than worth the €22m plus bonuses when fit, so he’ll again be chosen in goal rather than David Ospina. As ever with Carlo Ancelotti, there is some uncertainty. Will it be Dries Mertens or Arkadiusz Milik partnering Lorenzo Insigne in attack? Does Piotr Zielinski step in for Allan or will it be Amadou Diawara? We’ve learned better than to make too many predictions when it comes to Ancelotti’s XI. Mertens has never scored at San Siro in Serie A, firing blanks five times against both Inter and Milan. Insigne hasn’t fared much better, as in 11 top flight meetings with Inter, he scored only once. We could well see some unexpected sources for goals, as Icardi has found the net just twice against Napoli in the league. 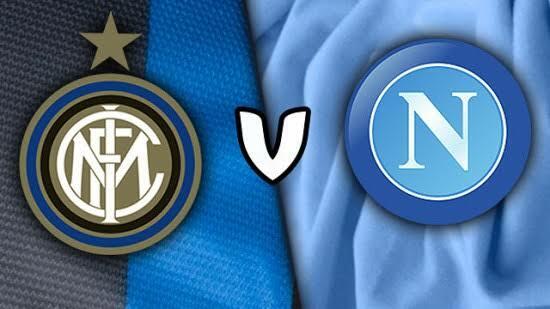 Napoli have lost only one of their last seven Serie A trips to Inter, winning two and drawing three. They’ve also been beaten just once in their last 11 league meetings with the Nerazzurri, home and away, with five wins and as many stalemates.